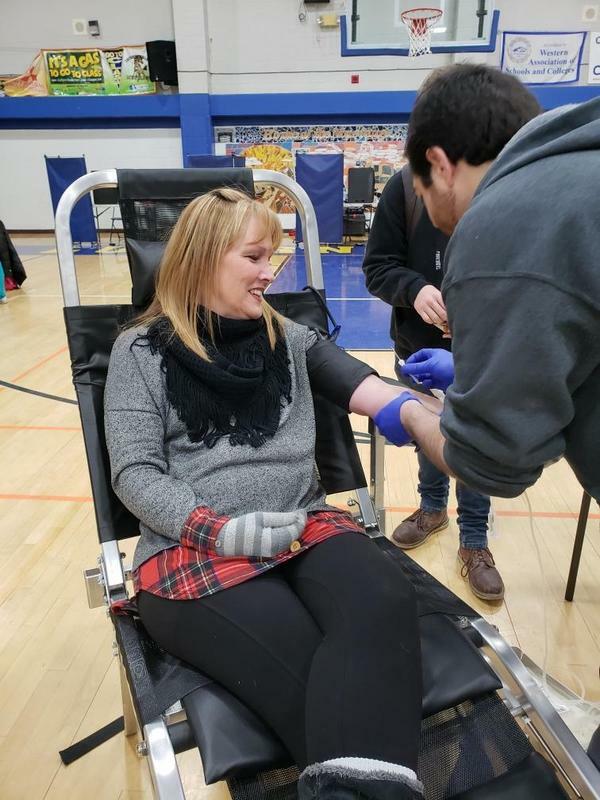 Lucerne Valley High School students and staff showed their heart by rolling up their sleeves for a LifeStream Blood Bank donation on Tuesday, Feb. 5. Altogether 55 donors donated 46 pints of blood. • Less than 10% of the population eligible to donate blood actually does so. • Blood cannot be manufactured – it can only come from generous donors. • All blood types are needed to help patients; the need for type O negative is especially acute. Only 7% of U.S. residents have “universal” blood. 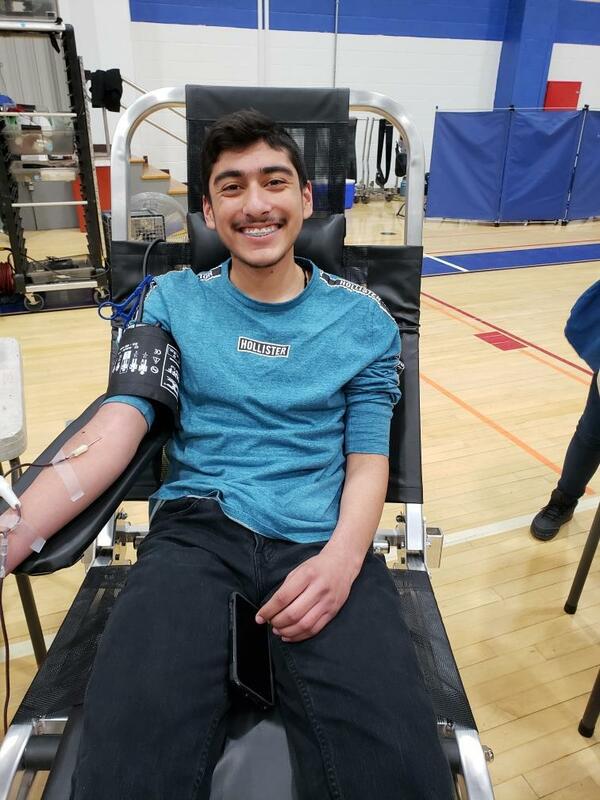 TOP: Lucerne Valley student Tommy Orozco smiles as he donates blood on Tuesday when the LifeStream Blood Bank vehicle visited the high school gymnasium. MIDDLE: Teacher Kelli Papiernik donates blood during the blood drive. Altogether 55 students and staff members donated 46 pints of blood. BOTTOM: After donating blood, donors got their choice of goodies to help replenish their iron. 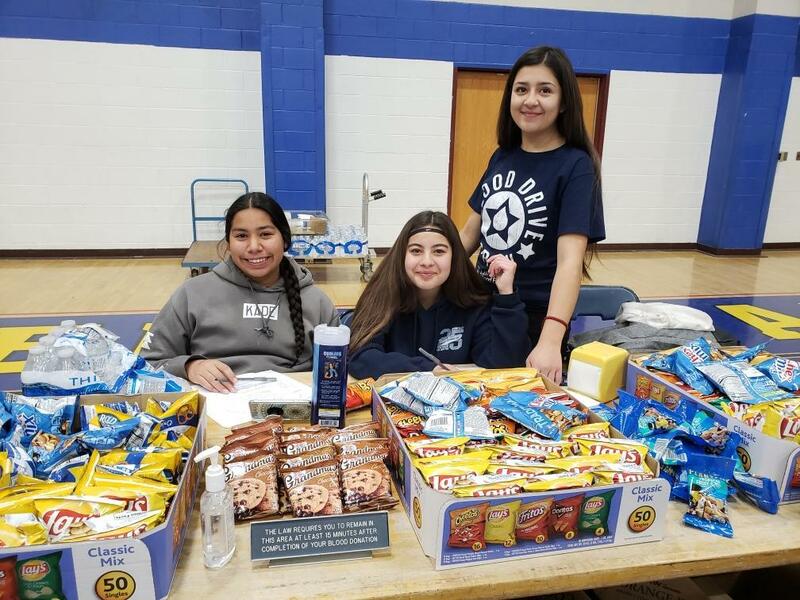 This student trio helped out during the blood drive.